A real treat for the eyes and ears. 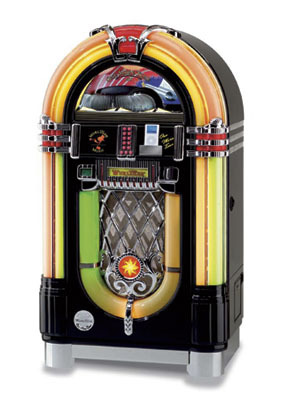 That is the fascinating Wurlitzer One More Time CD. This legendary classic moves with the times. Now with iPod and sound by Bose. 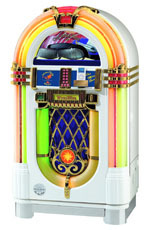 In the nostalgic design of the most beautiful jukebox ever built, the CD changer plays your favourite music of 100 CD's. The installed Bose Acoustimas Sound System offers all your favourite and top charts in superb stereo-phonic quality. Now the Apple iPod extends the music repertoire by an additional e.g. 60 gigabyte, making more than 10,000 songs available. the exceptional way to enjoy music. 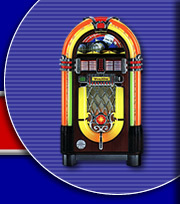 All jukeboxes shown with optional iPod.